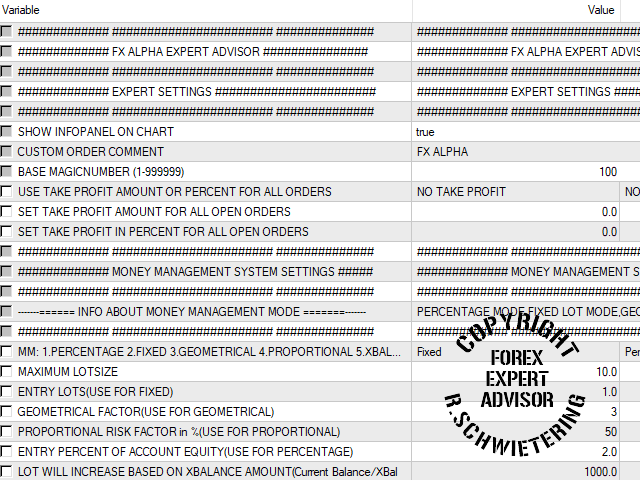 Forex Alpha is an intelligent automated Expert Advisor. It is working with its own complex algorithm with help of the power of 10 different strategies. 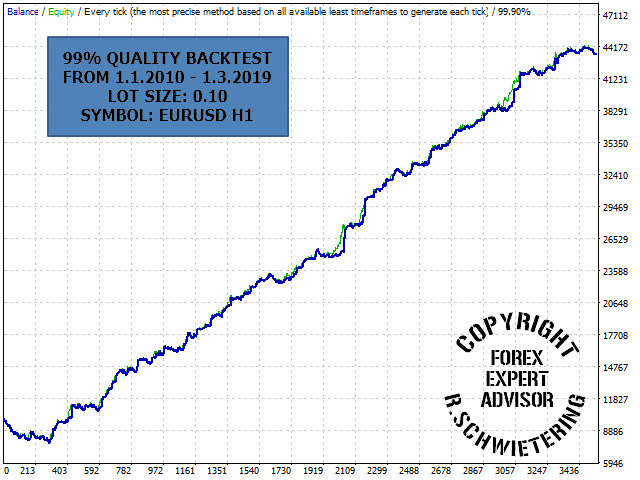 9 years 99% quality backtest with 0,01 lotsize. Magic Number - You can change Magic Number. 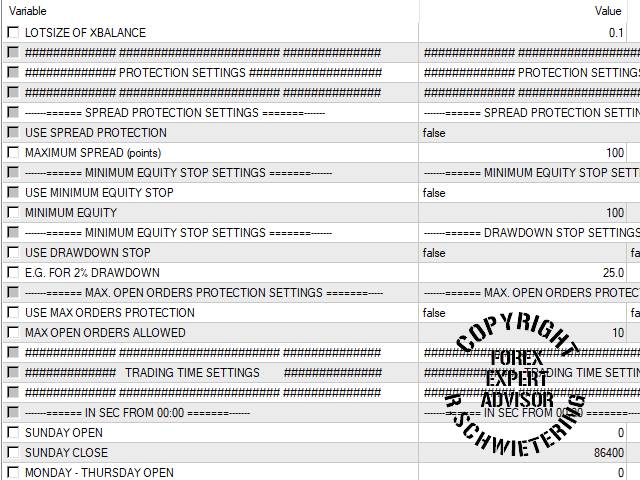 Stop Loss - You can change SL. Take Profit - You can change TP.